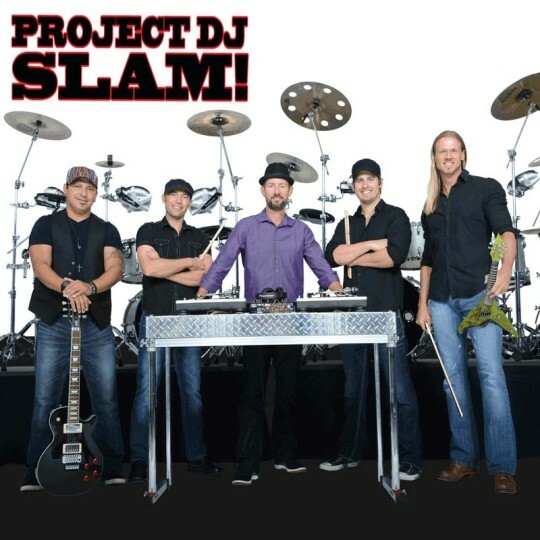 Combine a high-energy mixing DJ with two visual stand up drummers with arms flying, drums pounding, music pulsating, and an audience on their feet all night long, and you’ve got Project DJ Slam. The songlist is unlimited, and the energy is non-stop. Add even more excitement with guitar or electric violin! This is the future of musical entertainment. This is Project DJ Slam. Click to download associated materials.